AMC has finished selling all the ad time on the finale of "Mad Men," a drama ostensibly about selling advertising. 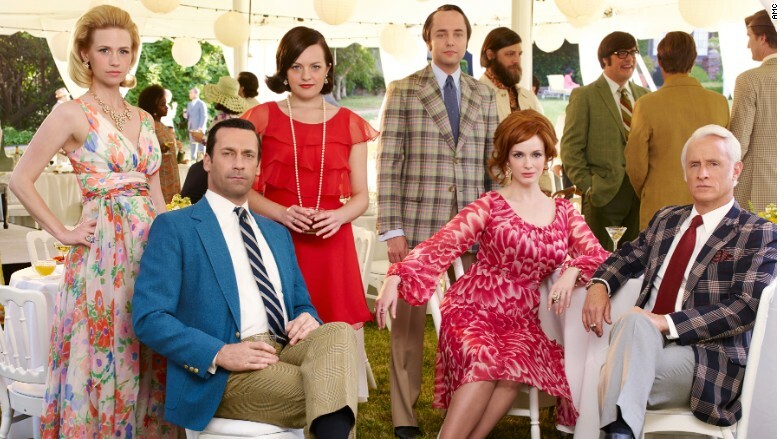 Earlier this week the cable channel sold out all of the ad spots for the May 17 series finale of "Mad Men." It confirmed the news in time for Sunday's premiere of the final season. AMC declined to say which companies bought spots. But the final bow is shaping up to be a major television moment, given the widespread critical acclaim for the show. AMC chose to hold back the final episode during its annual upfront season of ad sales. That's the time when companies commit to buying ads months in advance. Instead, the channel made the 24 commercial slots in the finale available in what's known as the "scatter" market. Ad time that isn't bought in bulk way ahead of time, through the upfront, is sold in a more scattershot basis. Depending on the advertising climate, channels can either charge more or less for "scatter" ads. In this case, by declining to make the "Mad Men" finale part of the upfront, AMC was betting that pent-up demand would make it able to charge more. AMC has gone to great lengths to promote the final season of "Mad Men," which helped put AMC on the map when it premiered in 2007. Ads for "The End of an Era" of "Mad Men" have been plastered on billboards across the country while stars of the series and creator Matthew Weiner have been stoking interest through press appearances. AMC has also set up events like a major exhibit at New York's Museum of the Moving Image that celebrates the series. While the finale is now sold out, there are a handful of ad spots left in the other six episodes of the season. Some of the airtime in those episodes was sold during the upfront season.